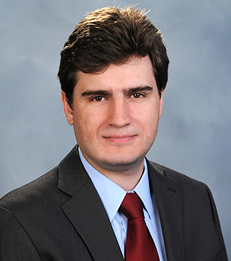 Alexi Savov is an Associate Professor of Finance at New York University's Stern School of Business. Professor Savov's research is in the areas of financial intermediation, macro finance, and asset pricing. His current work focuses on the interaction between liquidity transformation and capital allocation. By turning productive investment opportunities into liquid assets, the financial system lowers the cost of capital for firms and improves risk sharing. It also exposes the economy to risks, however, as was made clear by the 2008 financial crisis. These risks create a role for regulatory and monetary policy to balance the tradeoff between stability and growth. Professor Savov received his B.A. in Mathematics and Economics from Washington University in St. Louis and his M.B.A and Ph.D. in Finance from the University of Chicago Booth School of Business.